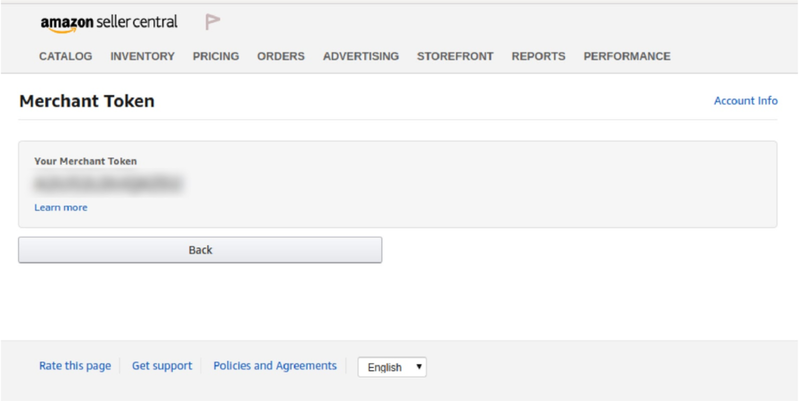 Connecting your Non-US/MX/CA Amazon stores to Easyship. 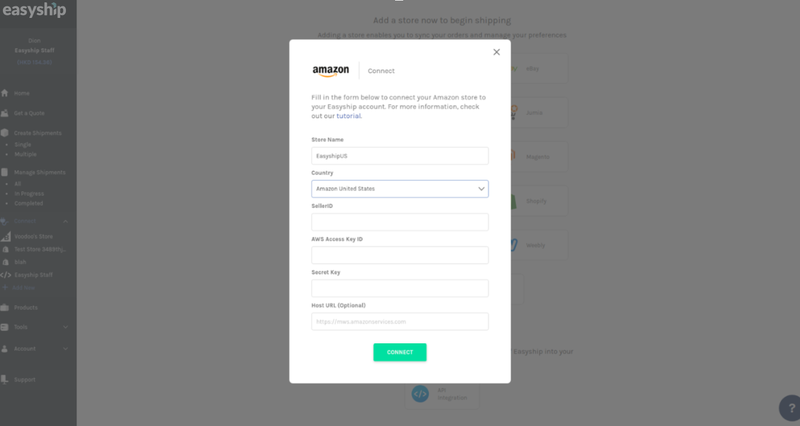 Before beginning the process of connecting your Amazon store to the Easyship platform, you will need your Seller ID, Marketplace ID, and Secret Key from the Amazon Marketplace Web Service (Amazon MWS). Go though the process, in the end there will be a box titled "Your MWS Account Keys- Do not share these"
Easyship will need these keys to setup the integration. 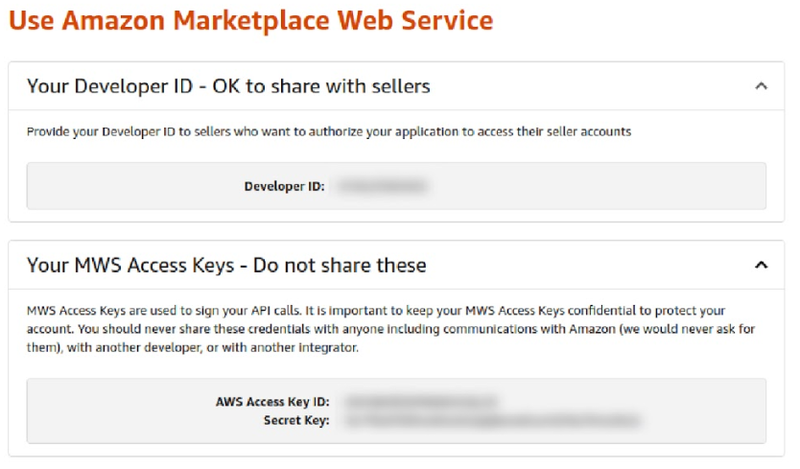 Write down the "AWS Access Key ID" and "Secret Key"
and put in: 'Merchant Token' as Seller ID; and the "AWS Access Key ID" and "Secret Key"